This job requires pulling axles out, now is a good time to replace seals, bearings and gaskets for the outer axle assemblies. For front axle assemblies see page see page 080. For rear semi-float rear axle assembly parts, see page 088. For full-float rear axle assembly parts, see page 089. And don't forget to purchase a Differential Service Manual, part #223-26. 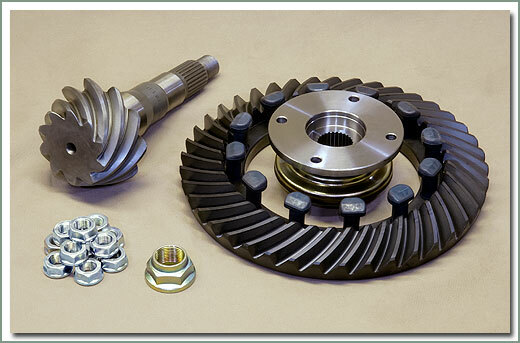 SOR offers complete Ring and Pinion Kits. 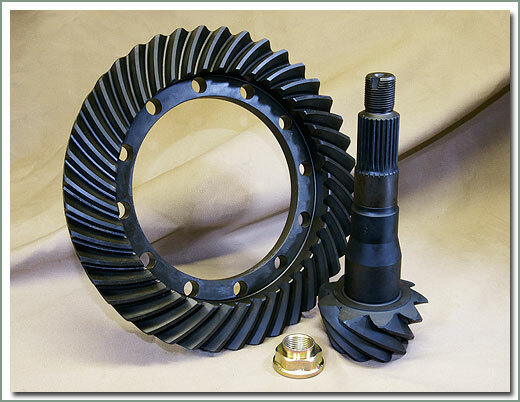 Other companies offer ring and pinion gear sets but SOR offers complete assembly kits. Ratios offered include 3:704.11, 4.56, 4:88, and 5:29 to fit in vehicles from 1958 to 1998. 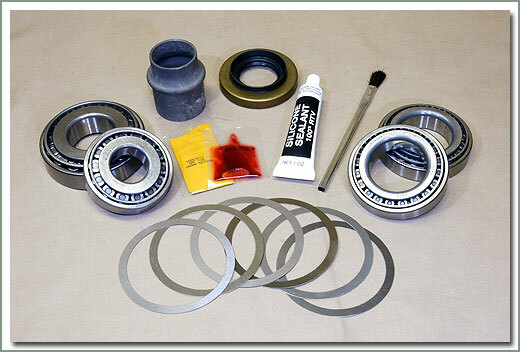 These kits come with all hard parts required for installation into your year differential. Please note not all kits come with ring gear bolts and nuts. 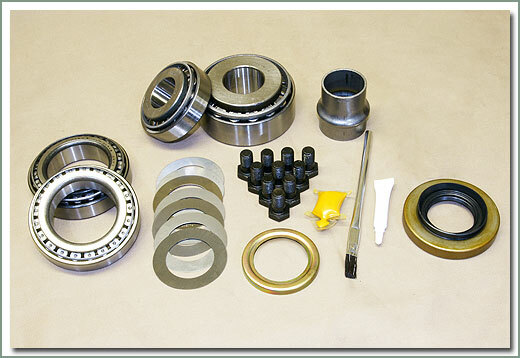 If your original year vehicle's differential has re-useable hardware, the kit will not include the nuts and bolts. Please inspect your assembly to determine if you need this hardware. Order the Ring & Pinion Gear Kit AND the Installation kit for your year and model and it will come with all the necessary parts you will need to do the installation, assuming the axle assembly is all original. Insure that your rebuild last. 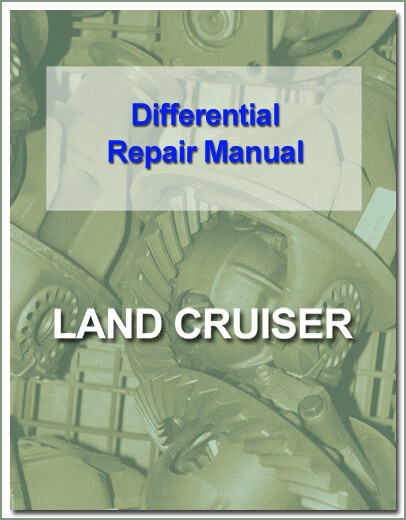 For procedures and specifications, purchase the Differential Repair Manual, part #223-26. Fits 1968-5/72 - Comes with all the hard parts required for installation into your differential - Requires Installation Kit (#291-9500), order separately - This is a Crush Sleeve style kit. SOR has noticed that other vendors selling differential gears list only the Ring and Pinion gear price. For those of you who are price comparing here are prices of just the Ring and Pinion gear. Please note all the gear sets available for the Land Cruiser are crush sleeve type requiring a fine splined drive flange. This means there are more parts required to use these gears than just the ring and pinion. For those of you who want to know the price of all the parts needed to install these new Ring and Pinion sets, scroll down the page to the COMPLETE Ring and Pinion Kits and the Installation Kits.